이 연구는 온라인 공간에서 사회적 이슈에 관한 상반된 정보를 접한 온라인 이용자들이 어떻게 토론을 하고, 온라인 공간의 여론 전개는 어떠한 양상을 보이는지를 알아보기 위해 TV토론 시청자 게시판을 근거이론방법으로 분석했다. 연구 결과를 살펴보면 우선 온라인 토론의 중심 현상은 “의견 진영화”와 “문제 해결책 논의”가 있었다. 온라인 이용자들은 각자의 정치 진영, 이해관계, 도덕규범을 기준으로 의견을 밝혔고, 이런 의견이 상반된 입장의 진영을 이루었다. 그런데 사회적 이슈가 온라인 이용자의 일상생활과 밀접하고, 문제 해결 의지에 공감대가 넓으면 온라인 이용자들은 문제 해결책을 주로 논의했다. TV토론은 온라인 게시판의 논의에서는 입장 비중의 변화에 제한적으로 영향을 미쳤다. 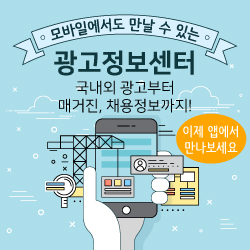 의견 진영화가 이루어진 이슈에서 TV토론이 도덕적 속성을 부각할수록 게시판의 논의 역시 도덕적인 쟁점에 집중하며 상대측 패널이나 게시자에 대한 비난이 늘어났다. 하지만 TV토론이 이슈와 관련된 이해관계 차이를 부각하거나, 소수 입장에 유리한 정보와 논리를 제공하면 온라인 게시판에서 소수 입장의 이용자들도 의견을 드러내며 침묵 현상의 균열이 나타났다. 이 연구 결과를 바탕으로 온라인 공간이 사회문제 해결을 위한 숙의 공론장이 되기 위해 필요한 조건은 탈도덕적 접근, 삶과 밀접하고 다양한 이해관계가 반영될 수 있는 정보, 차이의 공존 모색이라는 조건이 필요하다는 시사점을 얻을 수 있다. This study aims to investigate how online users react to TV debates on social issues, thus leading to the formation of online public opinion. For this research question, the authors selected 12 issues from televised debates on three major Korean television channels in 2012, and analyzed postings on the online bulletins for the programs, based on grounded-theory method. As a result, the “central phenomenon” turned out to be "polarization of opinion blocks“ and "probing solutions for the problems." In most issues, online users tend to formulate opinions based on their preference for political camps, group interests, and moral norms, and thus a polarization of opinion blocks is prevalent in online debates. However, when agenda are concerned with practical issues of their daily lives, or there emerges a consensus with regards to the resolution of the problem, online discussions attempt to converge on the ways to probe practical measures. In general, online discussions bring about limited changes in the relative composition of positions on the issues. Furthermore, a moralization of the issues in TV debates induces online discussions to focus on moral-ethical aspects of the issues and yield moral blamings on other opinions. Nevertheless, when TV debates underscore areas of group interests in the issues, or provide detailed information and logics useful for minor opinions, minorities are likely to express their opinion more actively. Based on the results, practical implications are also discussed for a revitalization of the ideal of online public sphere.